A brilliantly tense debut novel that explores all the moral ambiguities of our money-dominated world. Highly promotable, well-connected debut author. 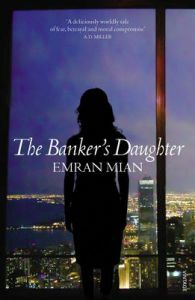 Interviews and reviews guaranteed: Fascinating British-Pakistani life story; overcame Autism as a child to become a government adviser; comes from a banking family so is writing from inside knowledge.